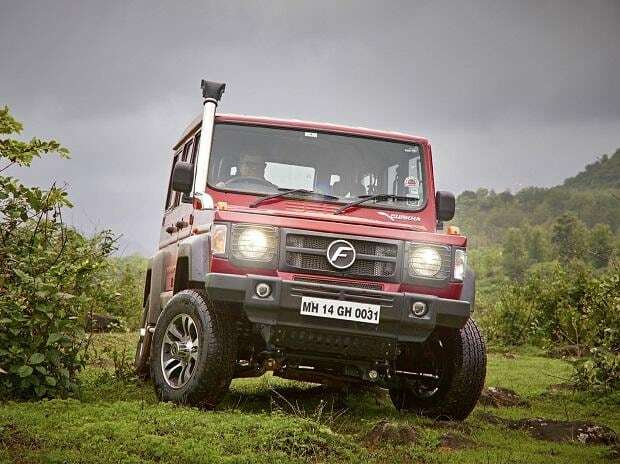 Force Motors, a home-grown automobile manufacturer, is gearing up to launch the Xtreme edition of Gurkha in India soon. 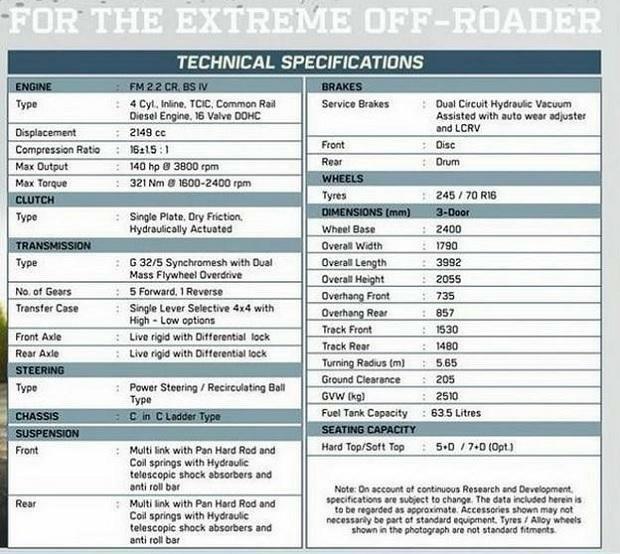 Before the launch, however, the brochure of the off-road sports utility vehicle has been leaked revealing the car would get minor cosmetic upgrades, along with a new BS-IV engine under the hood. Based on the leaked details, the Gurkha Xtreme edition seems to be a top-trim variant. Though it has same design and dimensions of the existing Xplorer and Xpedition variants, it will have a bigger fuel tank of 63.5 litre and would come in both hard top and soft top options. The car would be powered by a new 2149 cc, four-cylinder, common rail diesel engine (CRDe) that generates 140hp at 3,800 rpm and 321 Nm of peak torque at 1600-2400 rpm. The engine comes mated to a 5-speed Synchromesh manual transmission and features a selective 4x4 transfer case with high-low options with differential lock. Based on leaked broachure, the Gurkha Xtreme would measure 3,992 x 1790 x 2055 in length, width and height, respectively. It would have a wheelbase of 2,400 mm and a ground clearance of 205 mm. As for the features, the car would also get the snorkel mounted at roof height of the vehicle that ensures supply of clean air to the engine ensuring better combustion and lower strain on the air cleaning system. The snorkel also gives Gurkha a high water wading ability of up-to 550mm.